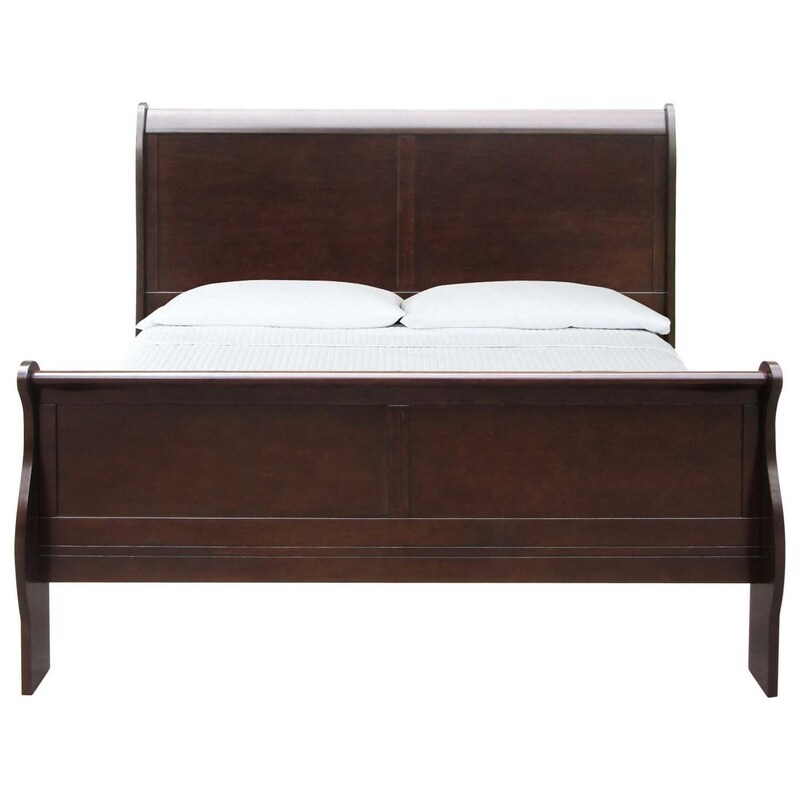 With a simple, timeless Louis Philippe design, this sleigh bed is an excellent fit for a variety of bedrooms.The bed is supported by flat, curved legs and features paneling on the headboard and footboard. 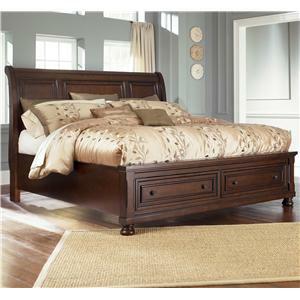 The Orleans Louis Philippe Style Queen Sleigh Bed by Steve Silver at Northeast Factory Direct in the Cleveland, Eastlake, Westlake, Mentor, Medina, Macedonia, Ohio area. Product availability may vary. Contact us for the most current availability on this product. Brushed nickel hardware and a timeless Louis Philippe design combine to create a collection that is both classically stylish and an excellent fit for modern homes. The Orleans collection is a great option if you are looking for Transitional Casual furniture in the Cleveland, Eastlake, Westlake, Mentor, Medina, Macedonia, Ohio area. 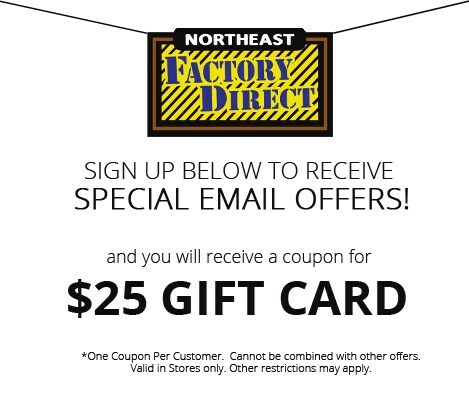 Browse other items in the Orleans collection from Northeast Factory Direct in the Cleveland, Eastlake, Westlake, Mentor, Medina, Macedonia, Ohio area.